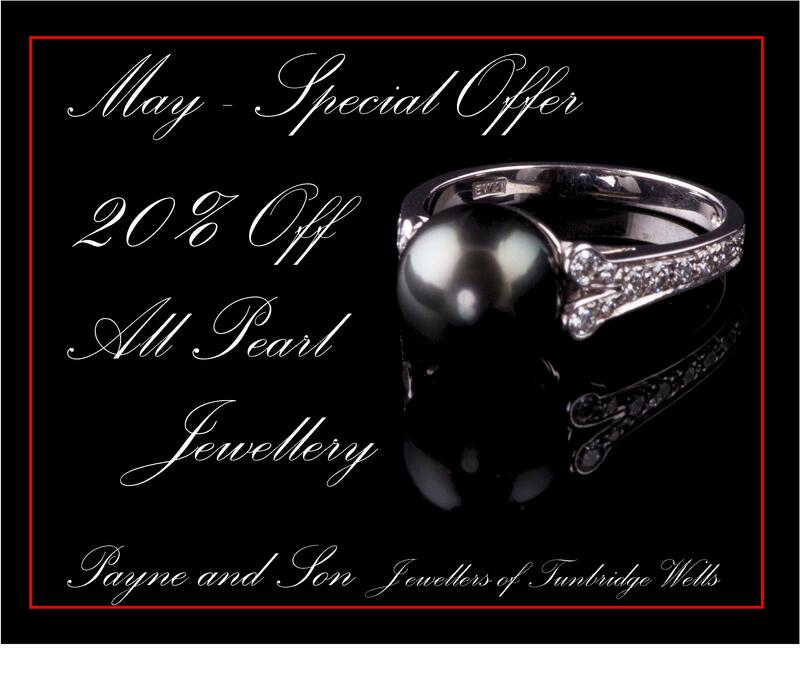 For the month of May we will be offering you a 20% discount off all of our pearl set jewellery! 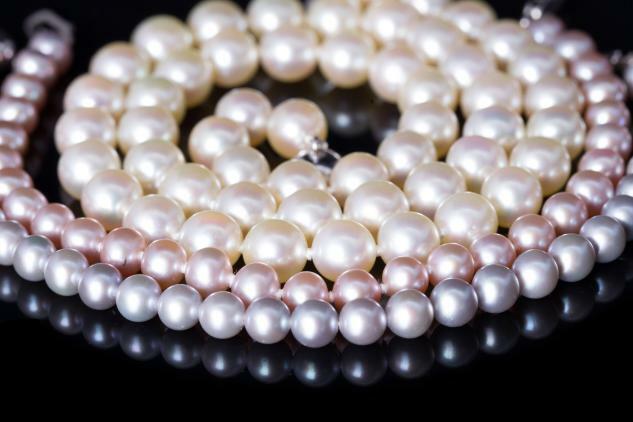 So if you have a birthday in June – pearl is your traditional birthstone and makes a perfect gift as they come in many guises – size, shapes, colours…………….. Pearls are also the traditional gift for a 30th birthday or anniversary. We have both products for him as well as her and can offer you earrings, pendants, necklets, single rows, multipe strands, rings, bracelets, dress studs and cufflinks! 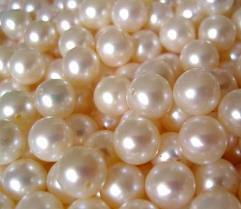 Pearls are graded on 5 main points; colour, size, shape, lustre and surface. 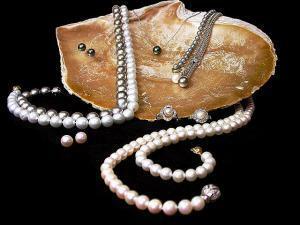 Colour is generally by personal preference but the creamy coloured pearls are usually the most sought after. Size – well the bigger the better! 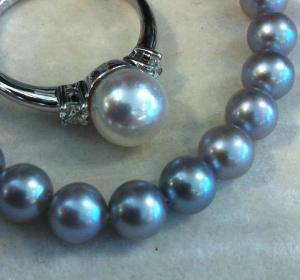 Shape – the more perfectly round a pearl the more desirable it becomes. Lustre refers to the reflection on the surface of the pearl, the clearer the reflection the deeper the layers of nacre and the better quality the pearl is. Finally, how blemish free is the surface? The fewer marks the better!!! !